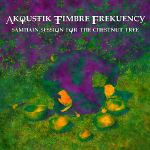 Akoustik Timbre Frekuency utilizes various techniques including Alpha, Theta and Beta waves, ritual instruments, electronic soundscapes and the magical use of voice and language that attempts to invoke a receptive state of consciousness to be used as a sonic tool. He has practiced Kaos Magick for over a decade, refining his personal rites and belief systems, which are expressed through his compositions and performances. 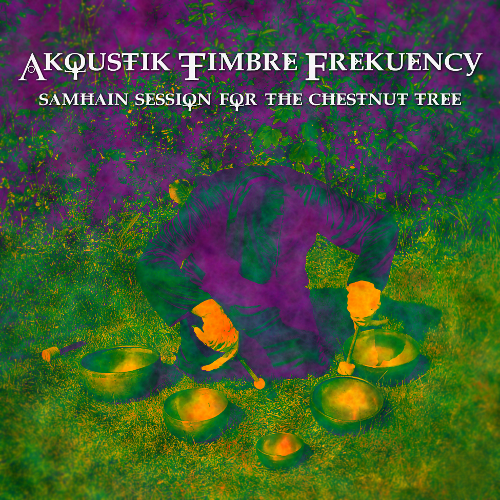 The Samhain Session for The Chestnut Tree is an atonal electro-acoustic composition that takes its influence from the ritual music of Tibet created to mark a transitional period within his life. The recording is also part of a cleansing rite intended to release repressed energies and channel them into future projects. Instrumentation includes bamboo percussion, conch horn, cymbal, dungchen (large Tibetan trumpet), gongs, kangling (Tibetan thighbone trumpet), keys (to the location he leaves behind), meat, prepared piano, ritual bells, seed shakers, shamanic rattle, singing bowls and thunder maker. This recording was donated by the artist to The Chestnut Tree program on KPFT in Houston.